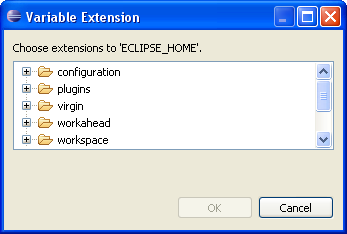 More information on JFace is available in the JFace section of The Official Eclipse FAQs. 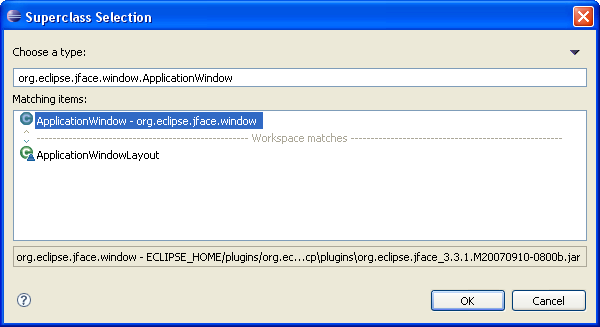 The JFace data binding framework was introduced in Eclipse 3.2. Data binding allows linking UI elements and models so that users can edit or view the data in the model. The framework makes it easy to connect data sources to widgets such as text fields, combos, tables and trees, for viewing and editing. Using it relieves developers from writing and registering listeners with widgets and model objects. 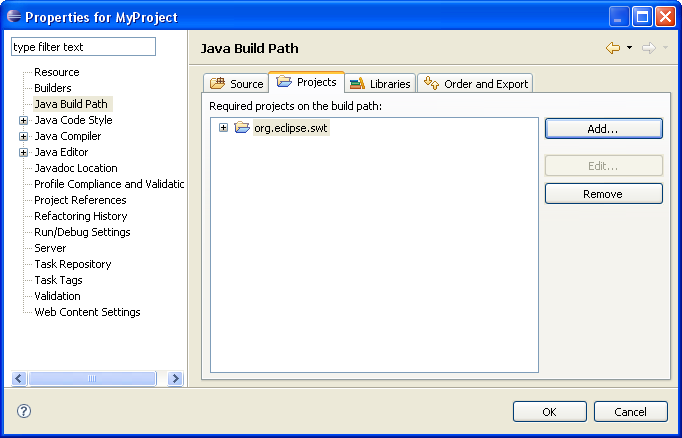 In 3.3 an optional dependency on the org.osgi.framework package was added which is defined in the org.eclipse.osgi. If this plug-in is absent JFace will continue to function but without the benefit of internationalization support for its images. 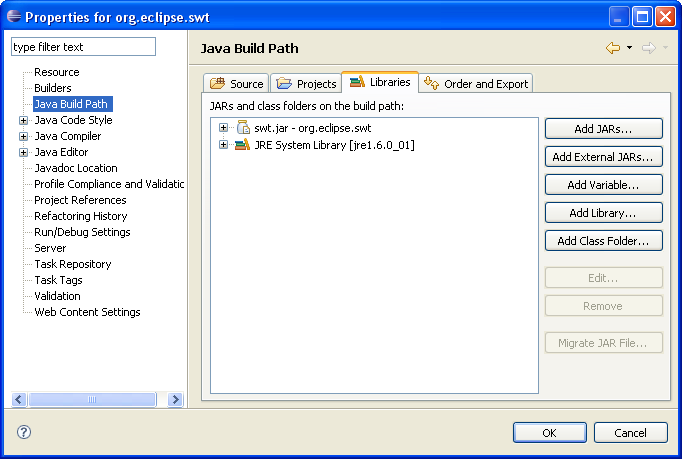 Create an Eclipse project (called org.eclipse.swt) that will have all of the required SWT and JFace JAR files on its build path and configure the Order and Export tab of the Build Path to export these files. 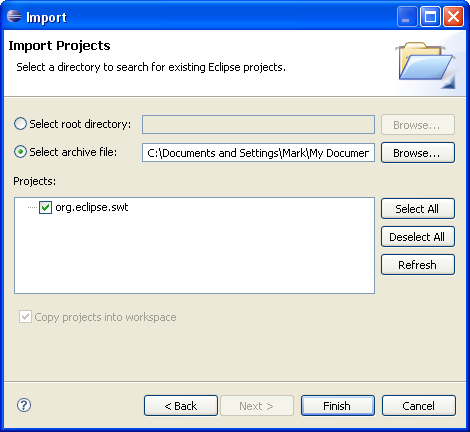 This project will supply the required JAR files to any other Eclipse project that needs them. 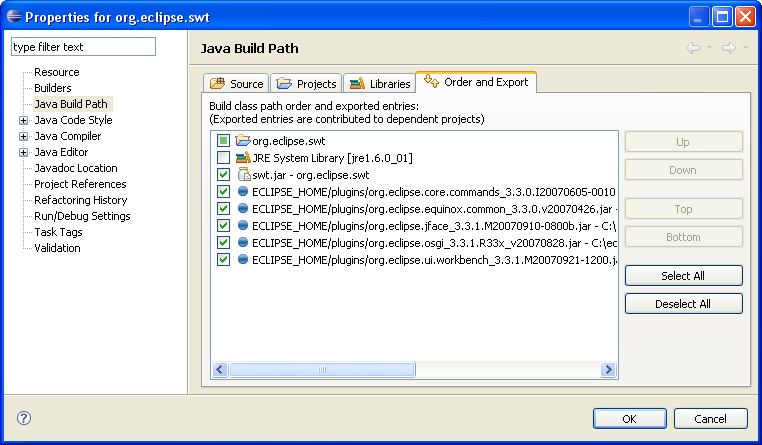 The source code for the SWT classes was added automatically when the org.eclipse.swt project was imported. If you like, you can add the source code to the JFace JAR file. 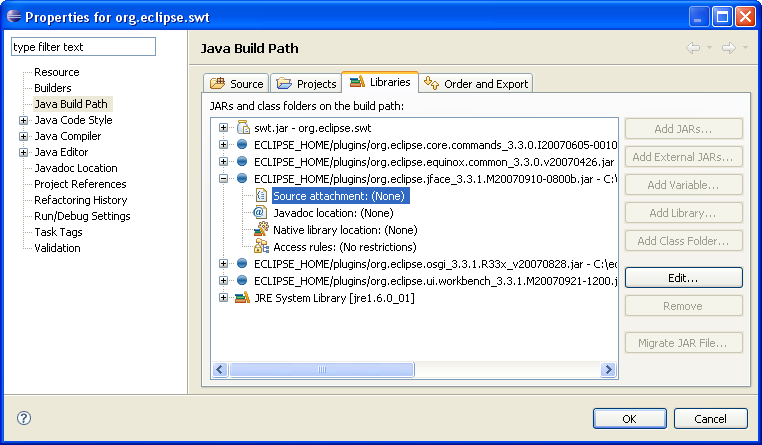 Note that the JFace source code comes as part of the Eclipse Platform Plug-in Developer Resources feature, which is included in the Eclipse for RCP/Plug-in Developers download. 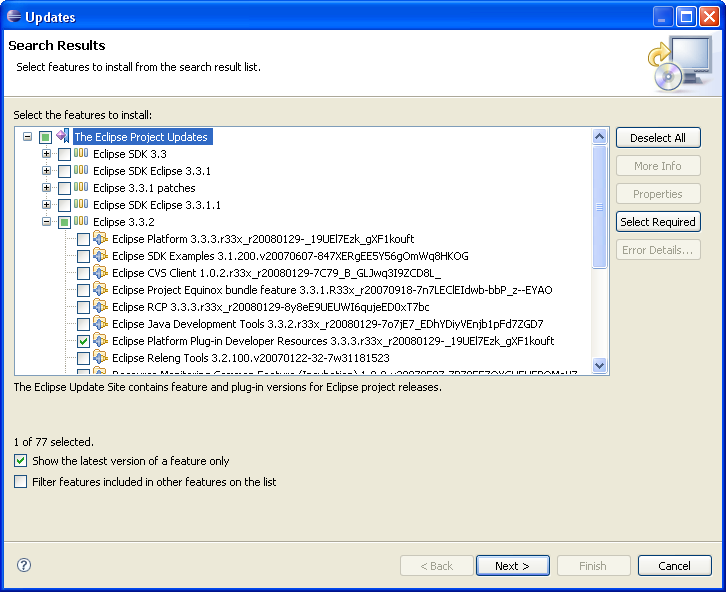 If you don't have this Eclipse package, you can download the Eclipse Platform Plug-in Developer Resources feature from the Eclipse Project Updates update site, as shown below. To attach the JFace source code, expand the JFace JAR file and select the Source Attachment, as shown below. 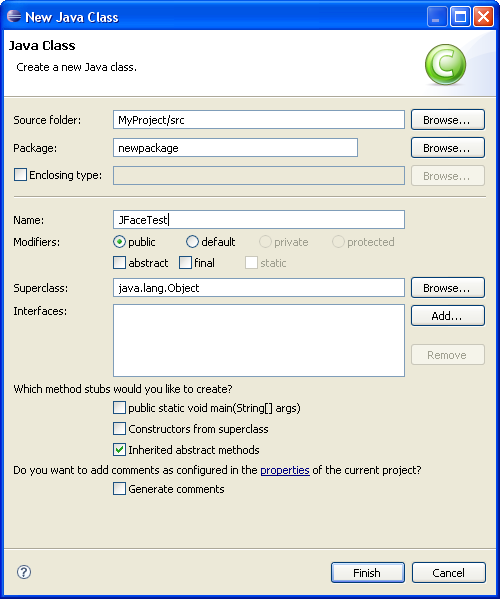 In your Java project, create a new package called jface.test. Create a new class called JFaceTest, as shown below. In the New Java Class dialog, for the Superclass press Browse and enter ApplicationWindow. 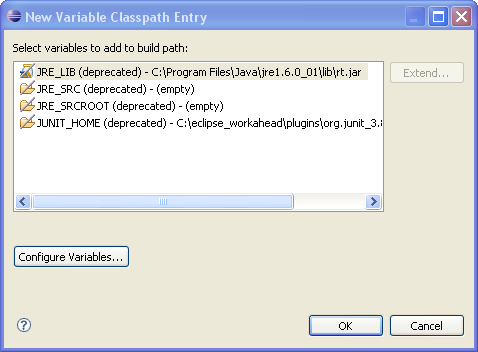 The class ApplicationWindow, in the org.eclipse.jface.window package, should display as an option, as shown below. 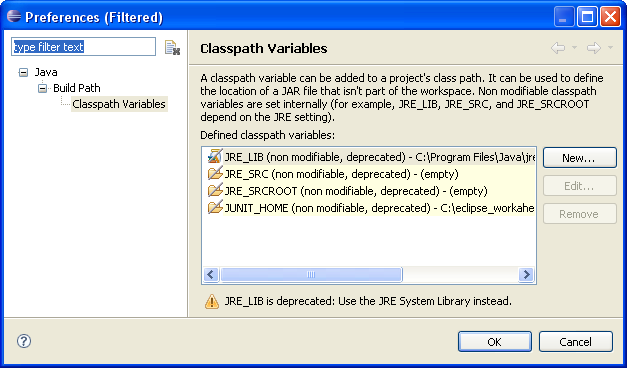 Select ApplicationWindow and press Finish to create the class. At this point you are ready to start developing stand-alone SWT and JFace applications. Once you have developed a stand-alone Java program that uses SWT and JFace, you will want to be able to deploy it to other computers. This section includes detailed instructions for doing this. Deploying a SWT / JFace application is similar to deploying any Java application that uses external JAR libraries, with one important difference. 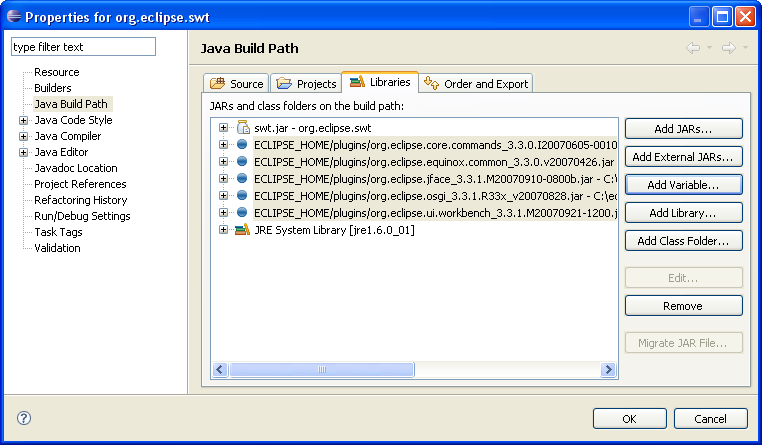 Starting with Eclipse version 3.3, the SWT JAR file (e.g., swt.jar in the org.eclipse.swt project referenced above), contains platform-specific executable files (e.g., *.DLL files for Windows, *.so files for Linux) as well as Java classes. For this reason, the SWT JAR file must be matched to the target runtime platform. If you want to target more than one platform (e.g., Windows and Linux), you will need a separate SWT JAR file for each target platform. Create a runtime folder for the desired runtime target on your system (e.g., c:\jface\runtime-linux). Note that the target platform does not need to be the same as your development platform. Find the correct SWT JAR file for the desired target platform. You can download the desired ZIP file from the SWT Project Page. 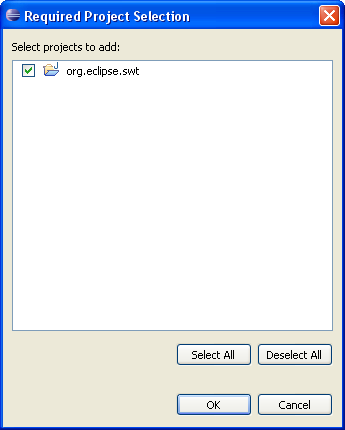 For example, for Eclipse 3.3 and a target platform of Linux, download the file swt-3.3.1.1-gtk-linux-x86.zip. Expand this ZIP file and copy the swt.jar file to the runtime folder. If desired, and to save some typing, rename the JAR files to remove the detailed version information. 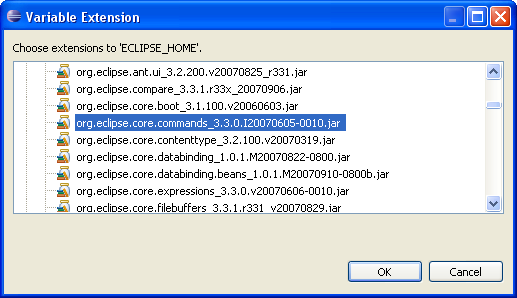 For example, rename the org.eclipse.jface JAR file to "org.eclipse.jface.jar" or "org.eclipse.jface_3.3.jar". Make sure the JAR file names in the manifest file exactly match the names in your runtime folder. Also, make sure the manifest file ends with a blank line and that there are at least one space before the continuation lines for Class-Path:. Finally, put the name of your package and class that contains the main() method for the Main-Class. 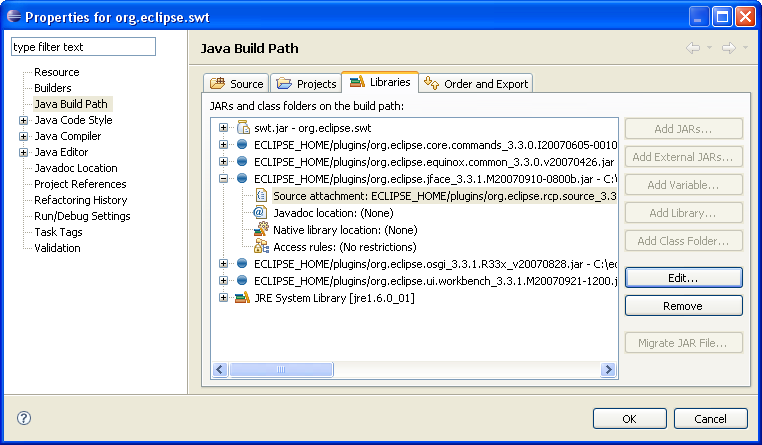 In Eclipse, select File/Export/Java/Jar file and press Next. On the JAR File Specification dialog, select the source files for the classes you want in the application. In the export destination, browse to the runtime folder and enter in the desired name of the JAR file (e.g., myapplication.jar or myapplication_linux.jar). Press Next. On the JAR Packaging Options dialog, make sure the "Export class files with compile warnings" box is checked. Otherwise, if your source files have any compile warnings, they will not be included in the JAR file. Press Next. 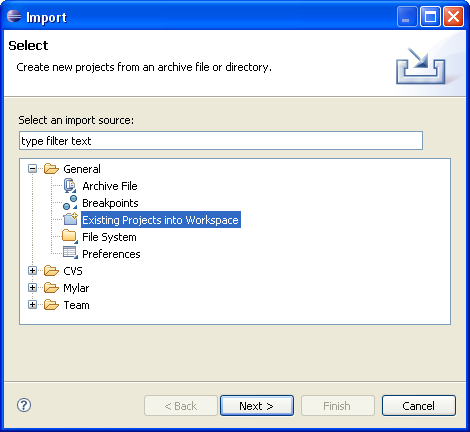 In the JAR Export dialog, select the option "Use existing manifest from workspace". Browse to the manifest file you created above. Press Finish. If the JAR file already exists, you will be asked to overwrite it. Select Yes. If your project had any compile warnings, a message will display. If so, press OK.
At this point, the JAR file for your application has been created in the runtime directory. In your operating system's file explorer, browse to the runtime directory and run your JAR file. For example, in Windows, you can just double-click on it in the Windows File Explorer or, from the "cmd" prompt, you can enter the command: java -jar myapplication.jar. The application should run and the main application window should display. One or more of the required JFace JAR file names is missing or misspelled in the mainfest file. 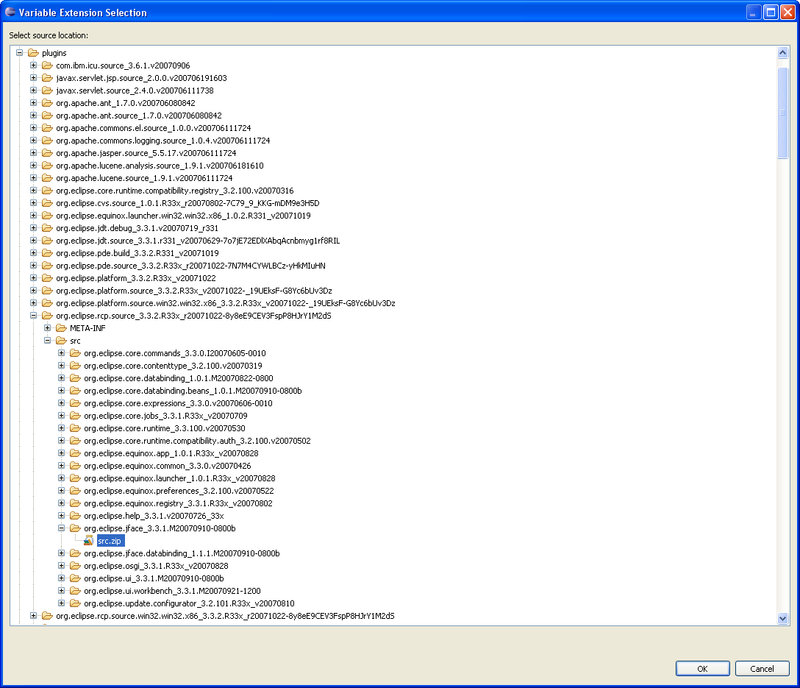 One or more of the of the required JFace JAR files is missing in the runtime folder. The Main-Class: is incorrect in the manifest file. This page was last modified 11:10, 6 August 2010 by Sean Champ. Based on work by Patrick Hofer, Mike Morearty and José Jeria and others.